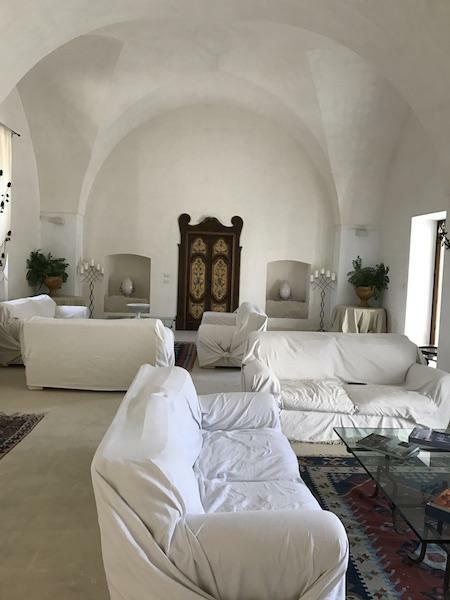 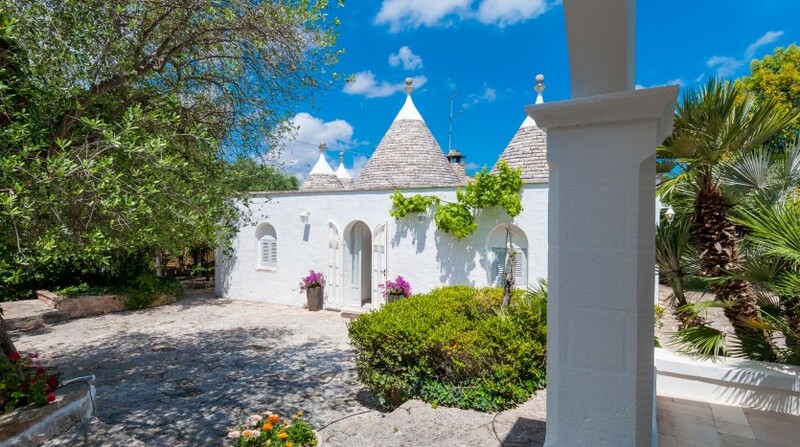 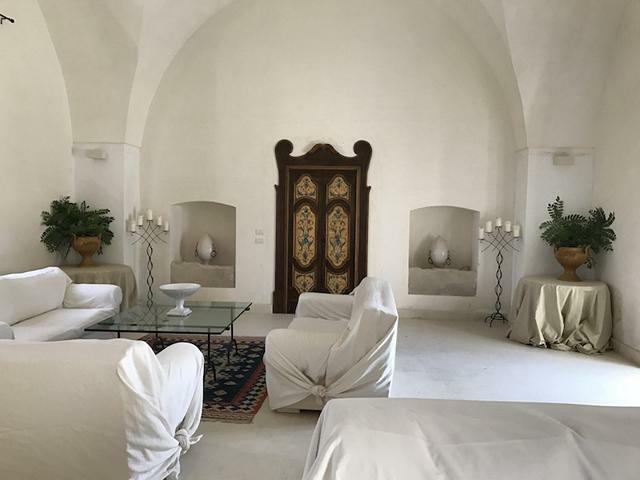 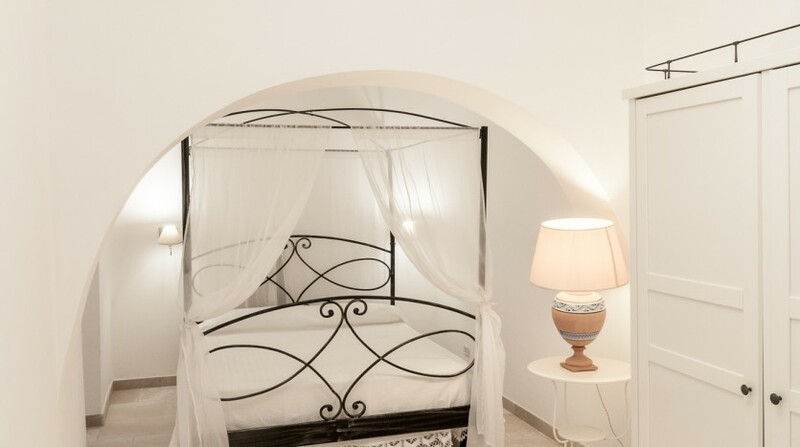 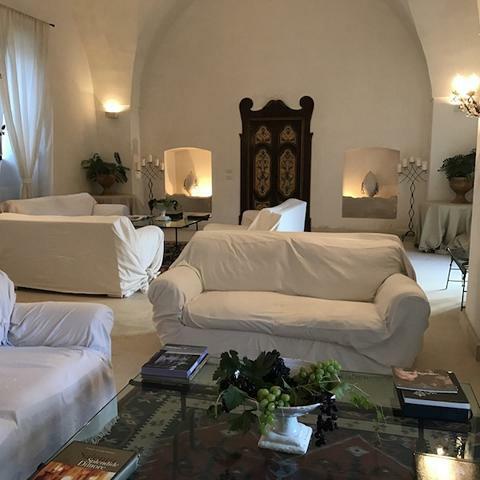 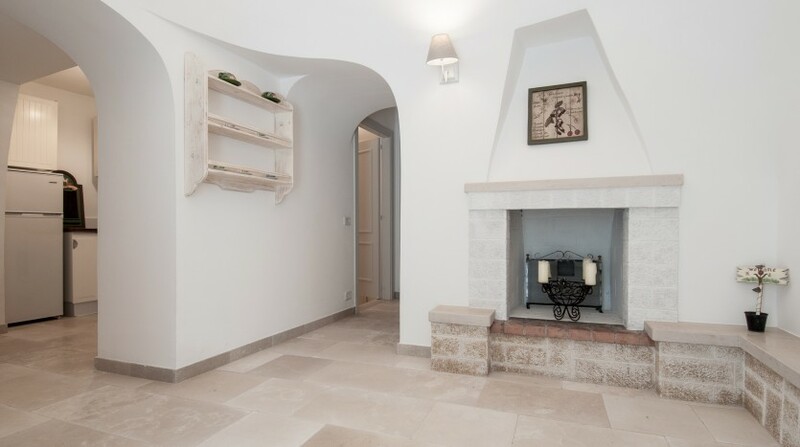 Between the hills of Monopoli and Castellana Grotte, in a quiet and peaceful holiday area, Trullo Bianco is located, a typical Trulli complex, a traditional Apulian dry stone hut with a conical roof. 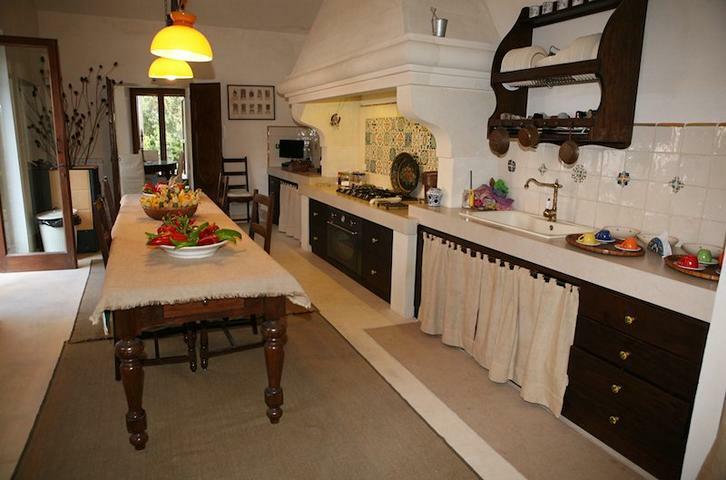 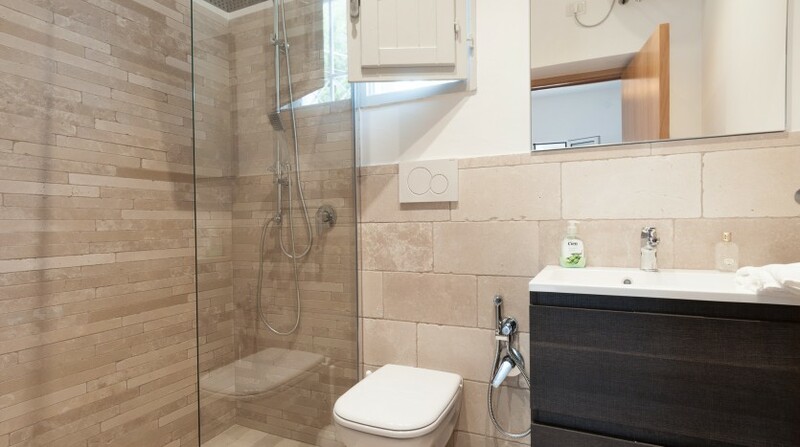 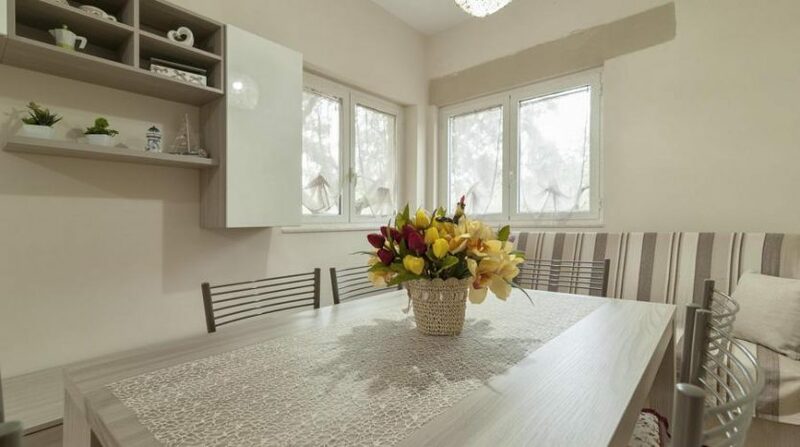 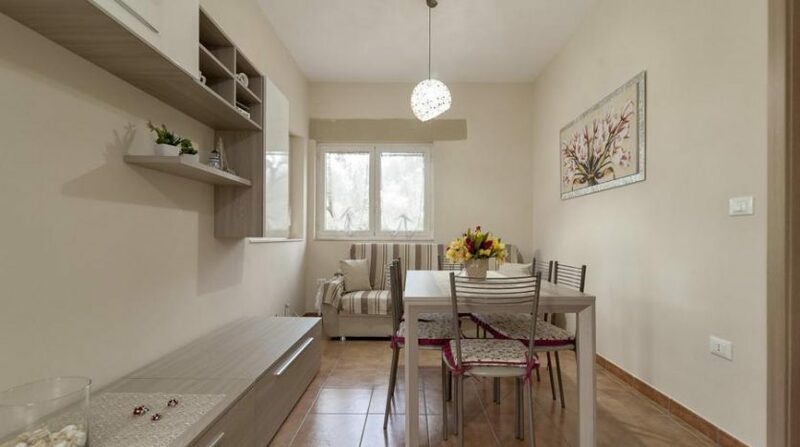 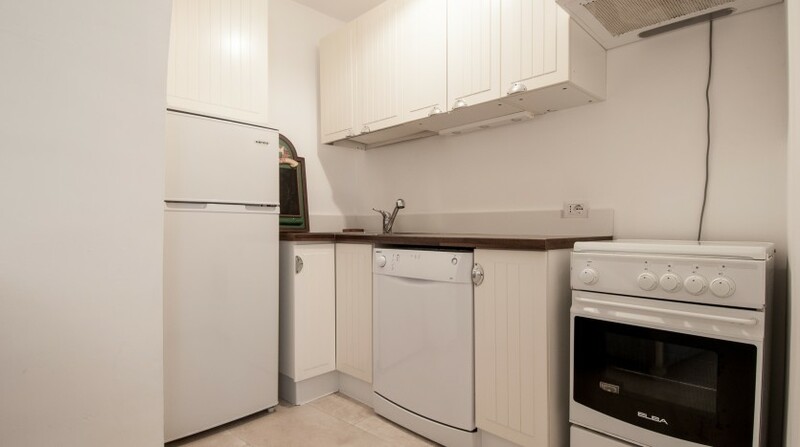 It also has attached a recently refurbished cottage house. 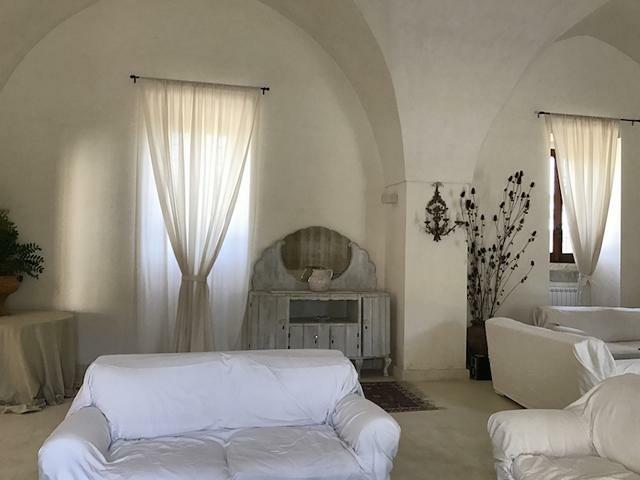 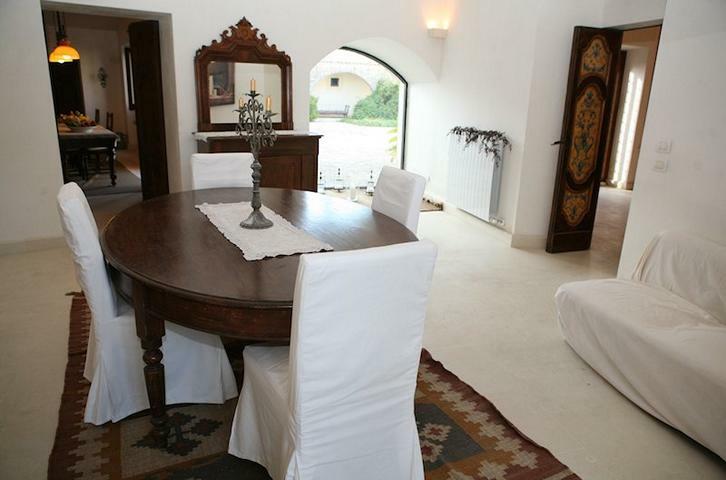 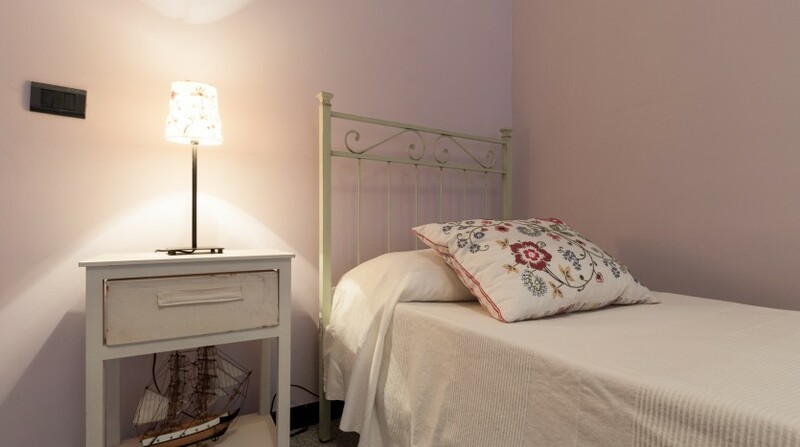 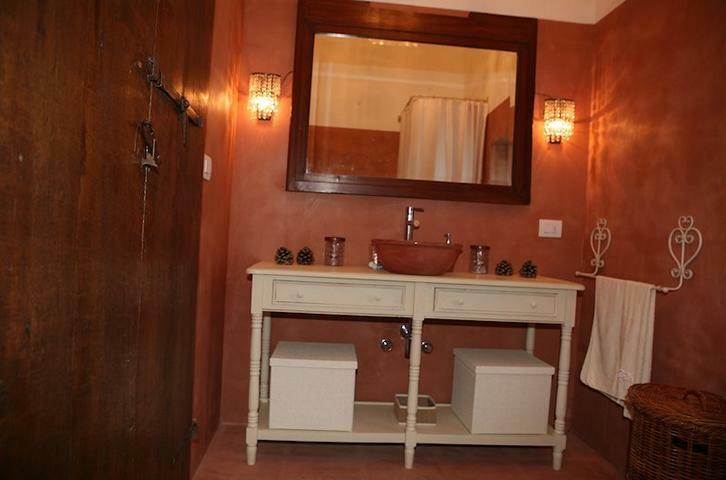 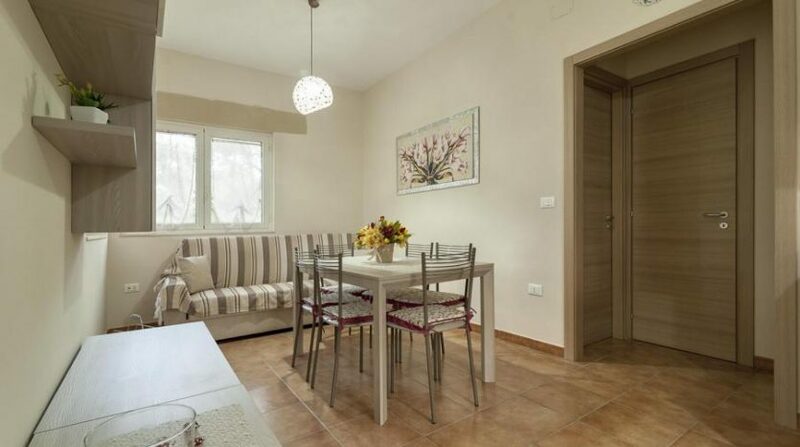 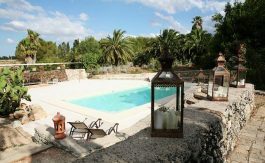 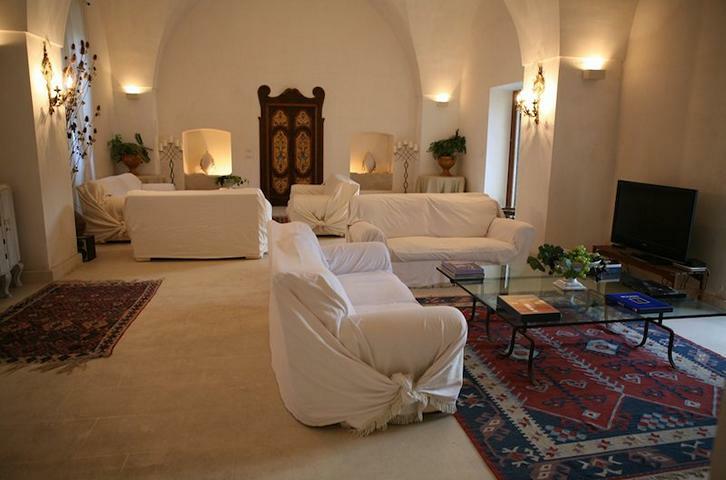 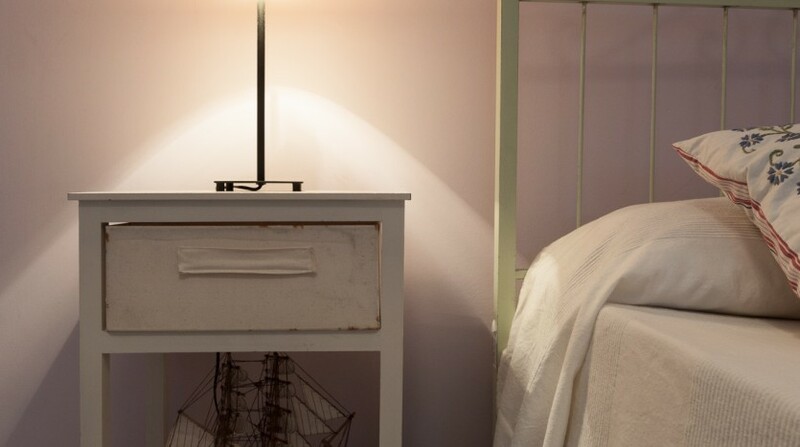 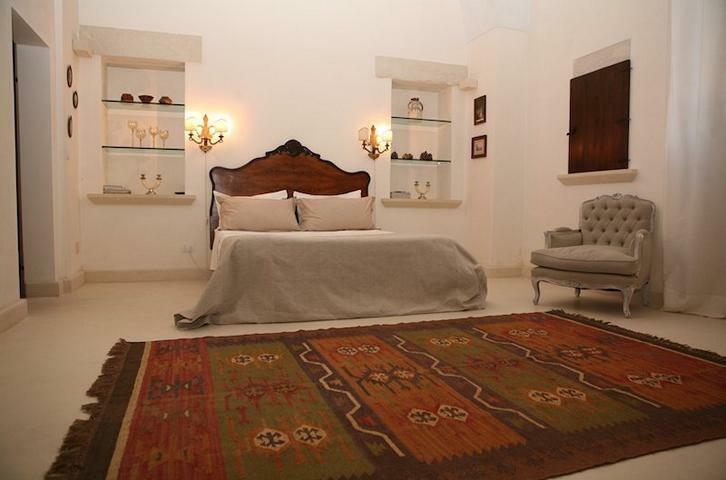 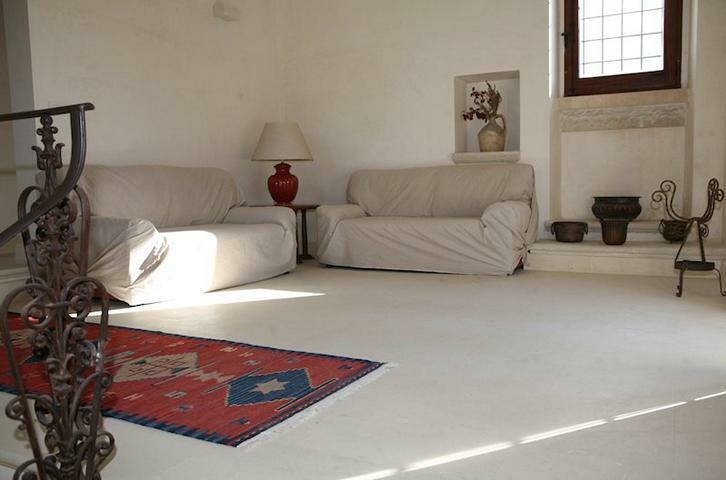 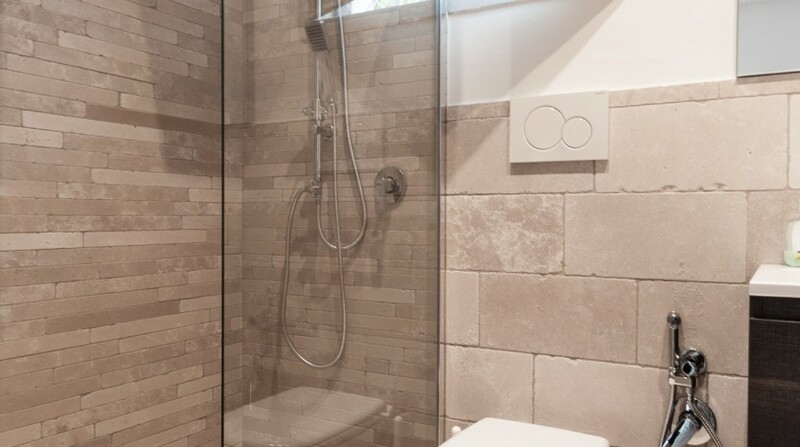 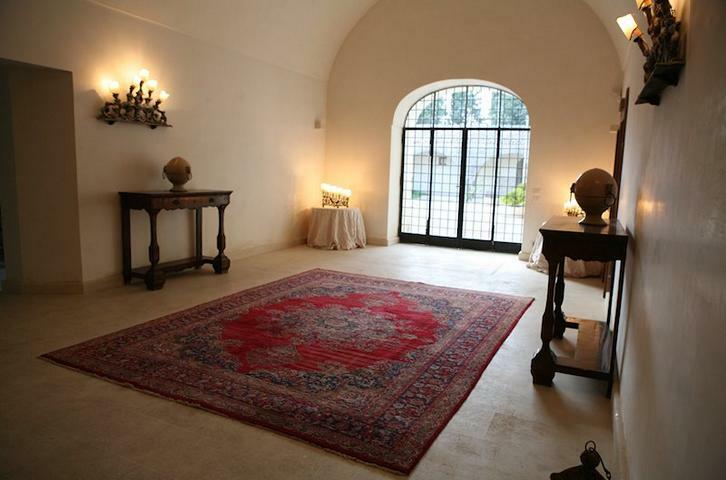 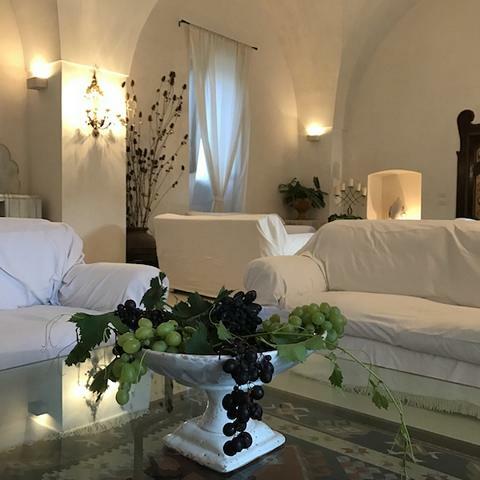 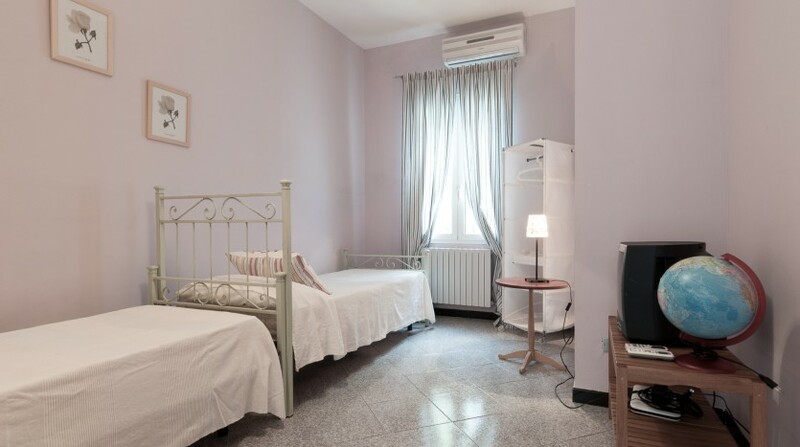 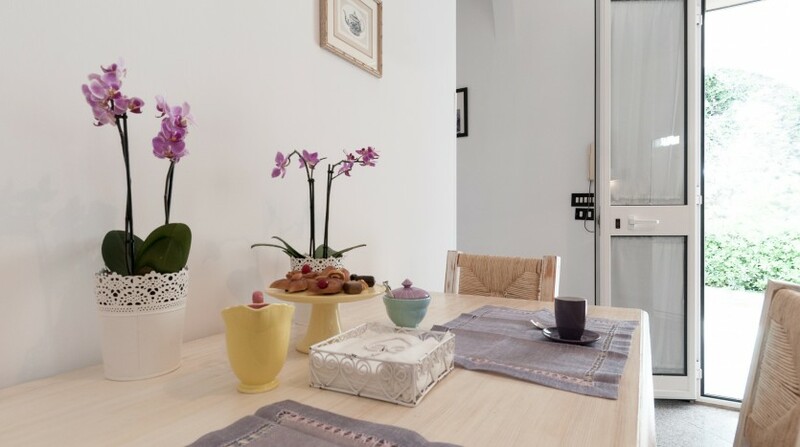 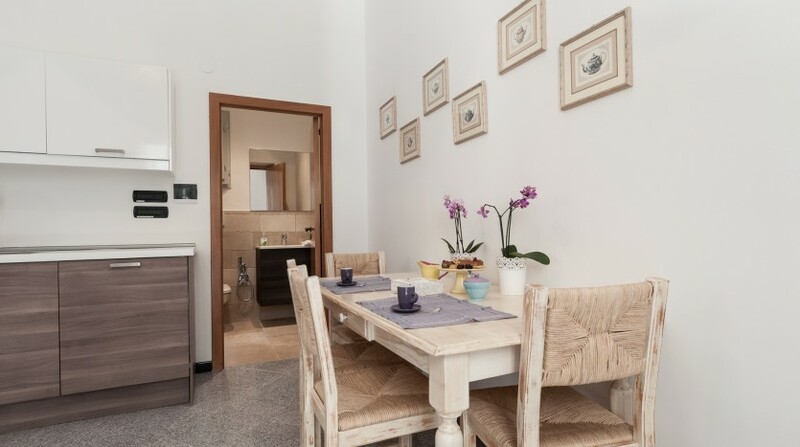 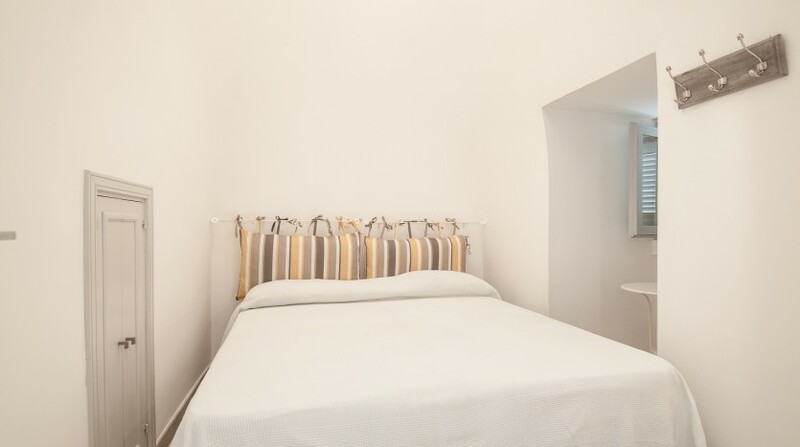 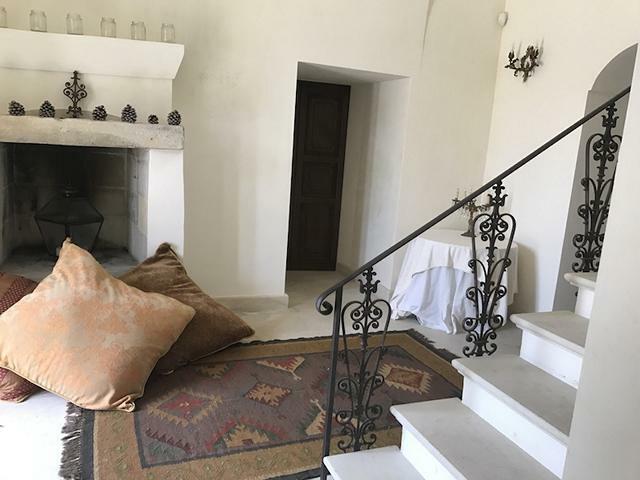 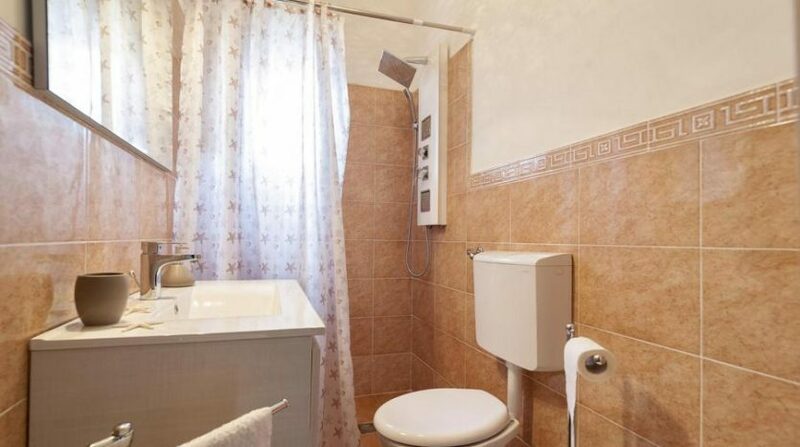 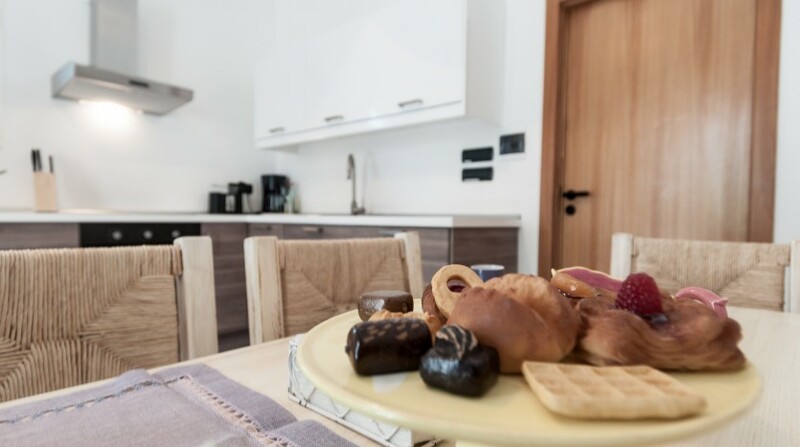 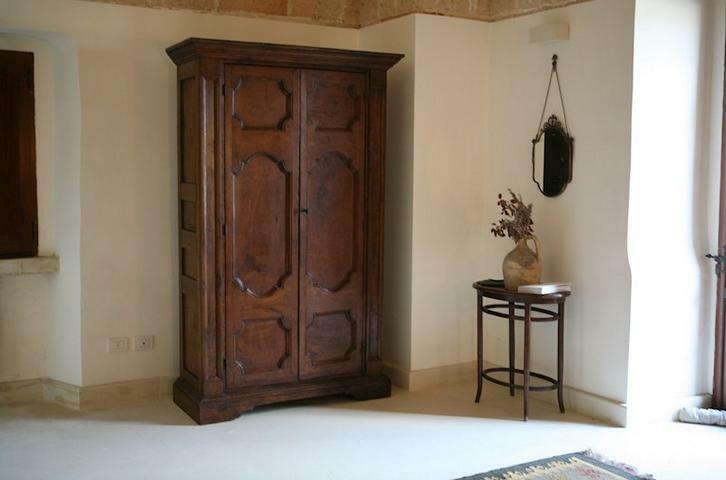 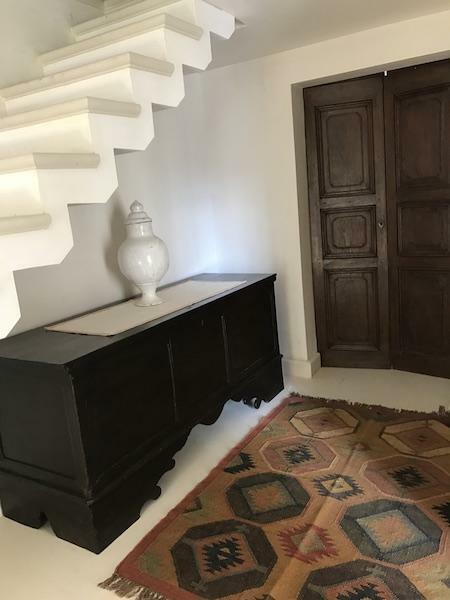 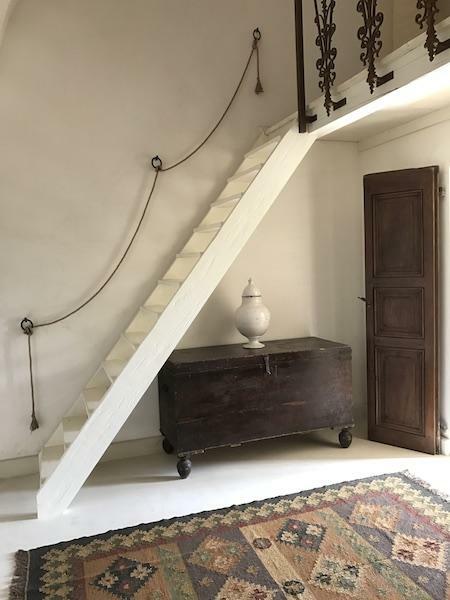 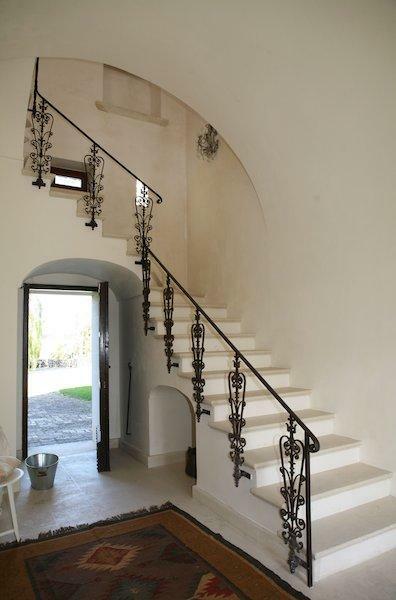 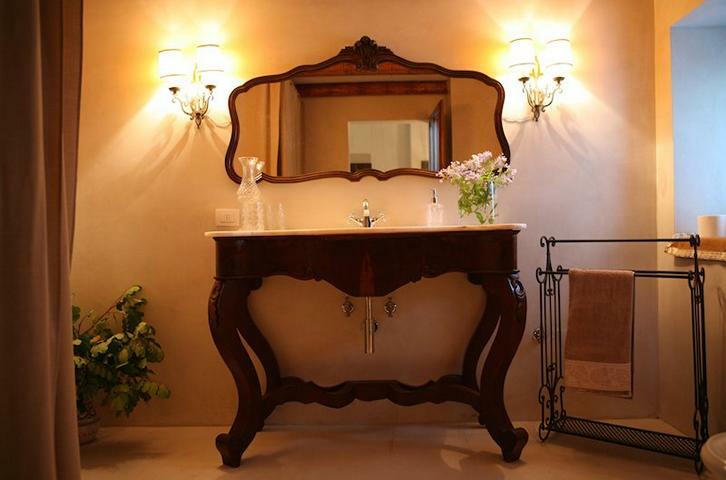 The cottage house contains two comfortable double bedrooms, while the other two, also double bedrooms, are in the main Trullo. 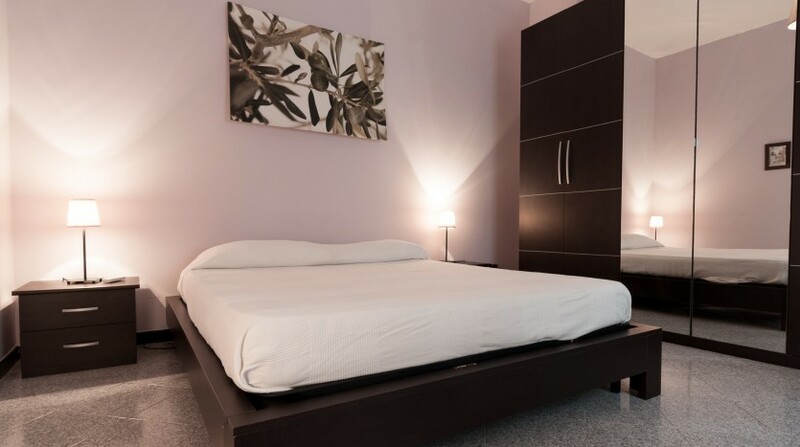 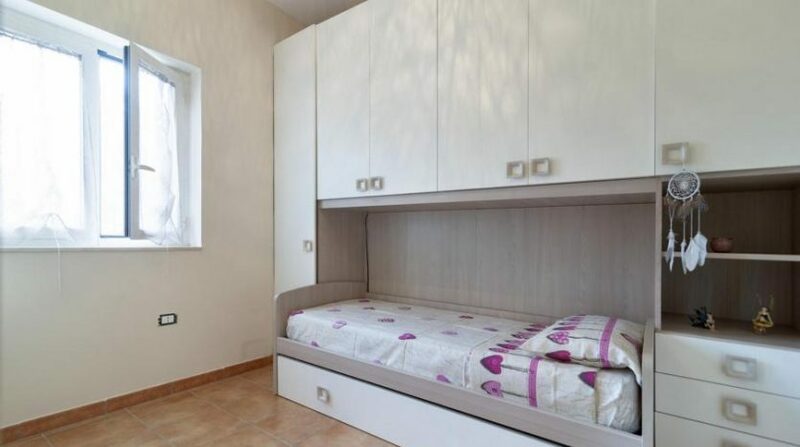 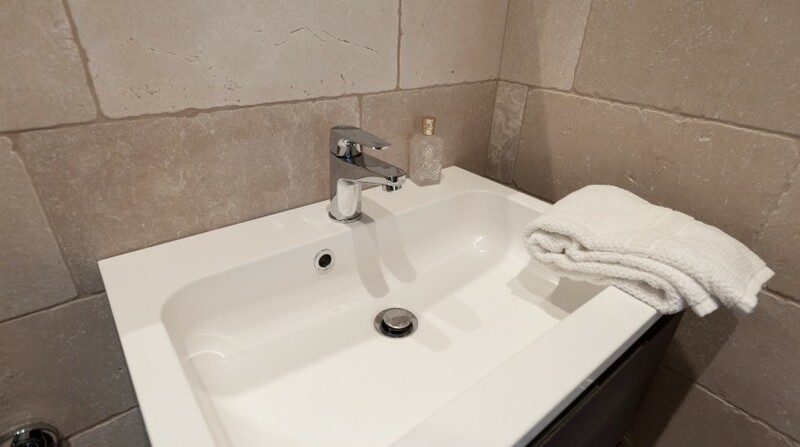 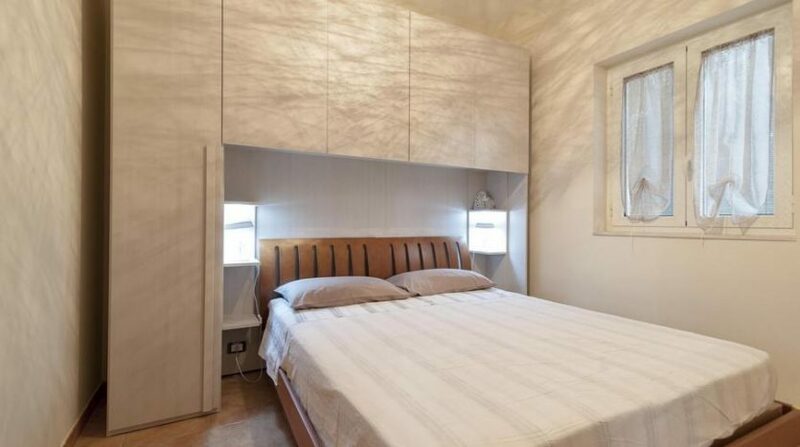 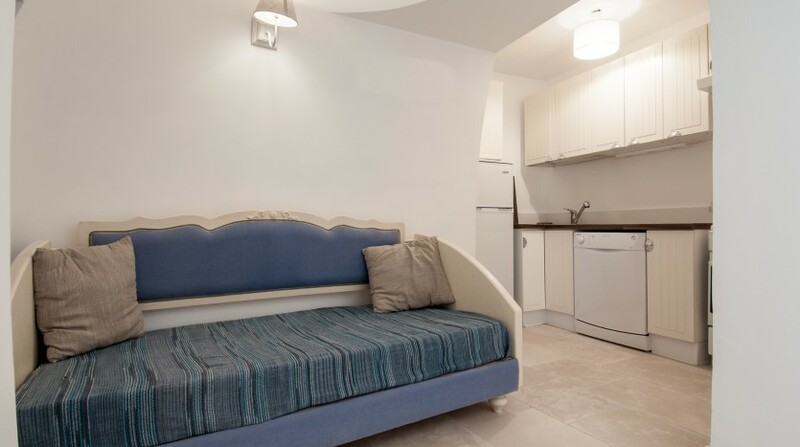 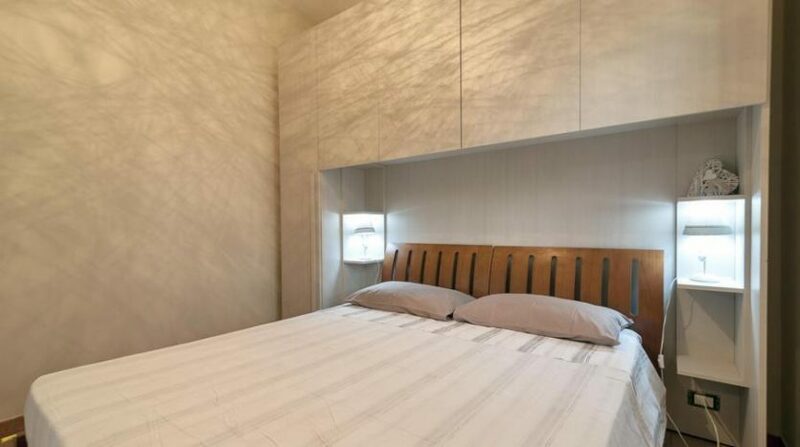 Two of the four bedrooms, all spacious and comfortable, are furnished with single beds (which can be joined together). 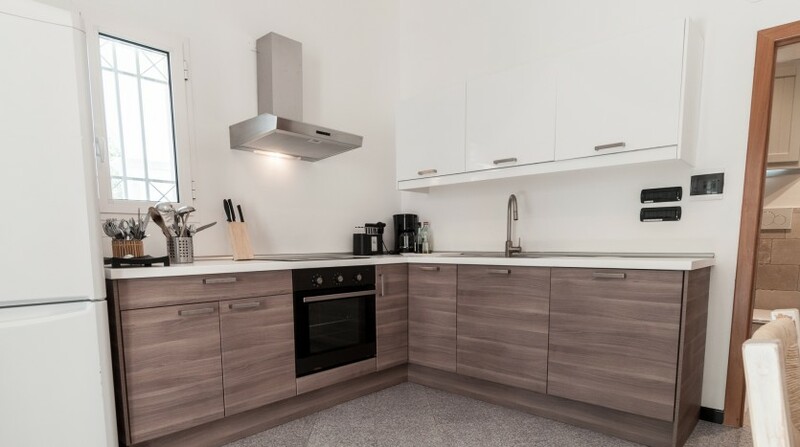 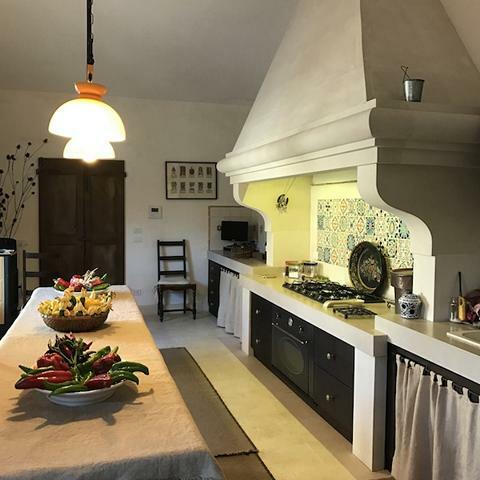 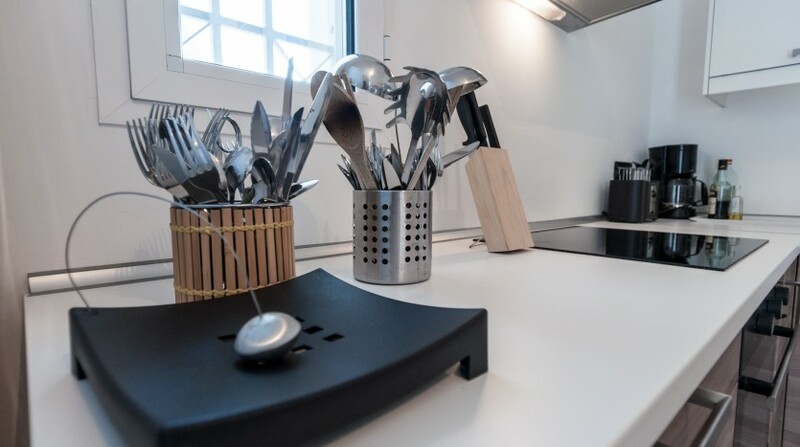 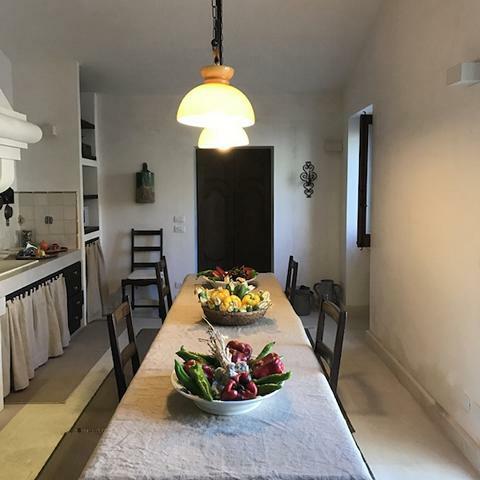 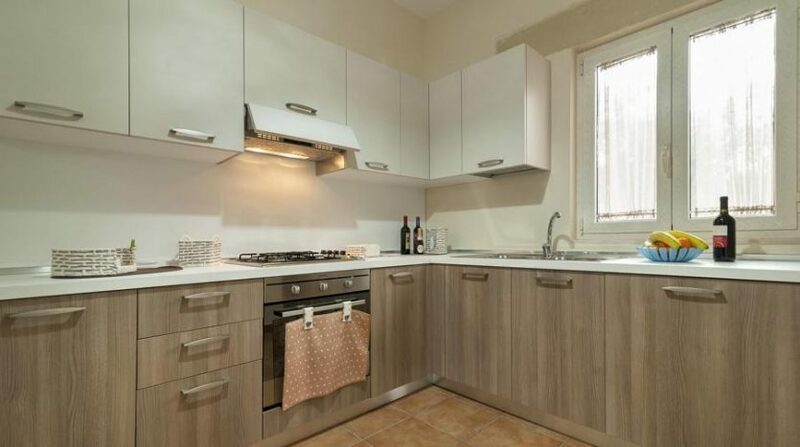 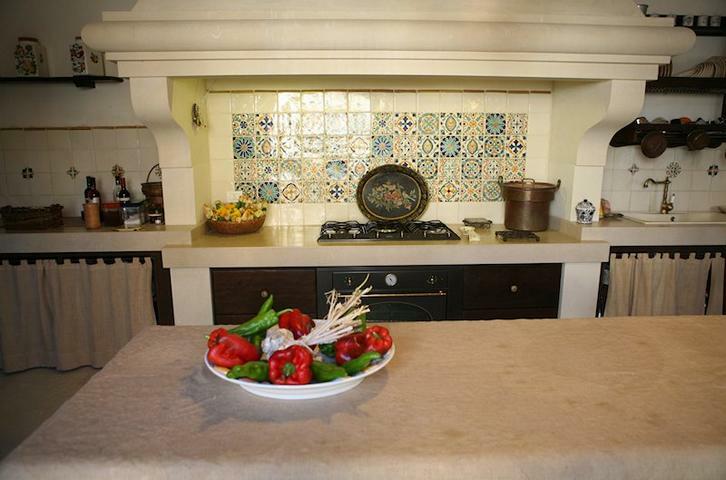 Trullo Bianco is equipped with two kitchens: the main kitchen, fully equipped and functional, is located in the main house. 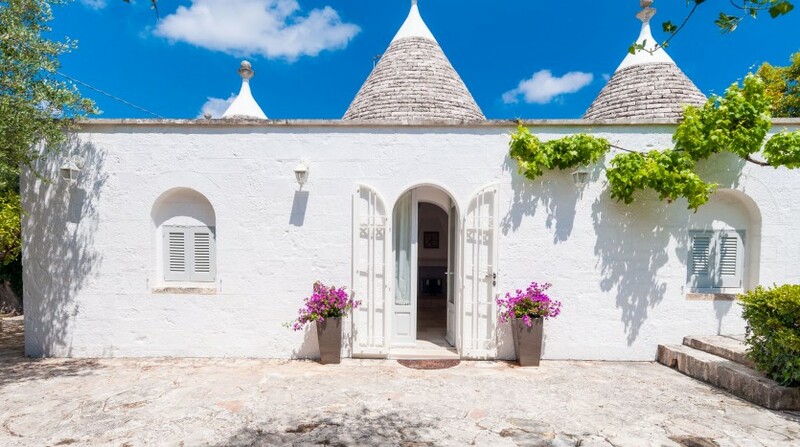 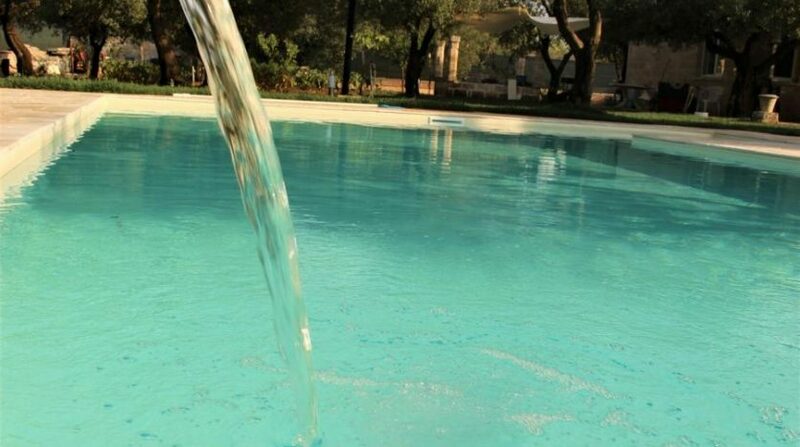 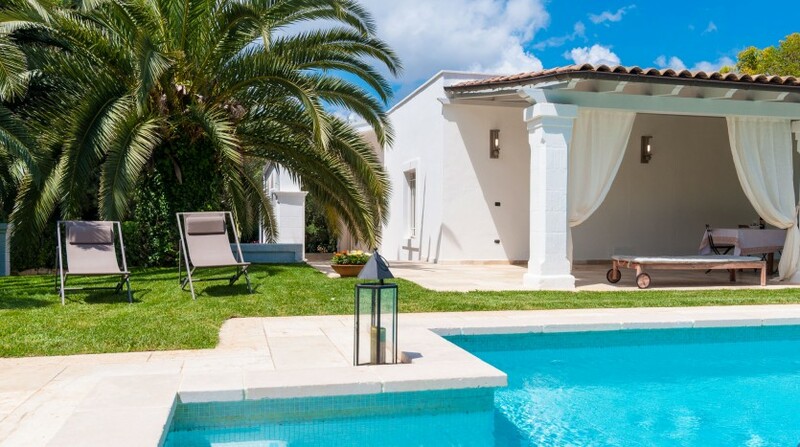 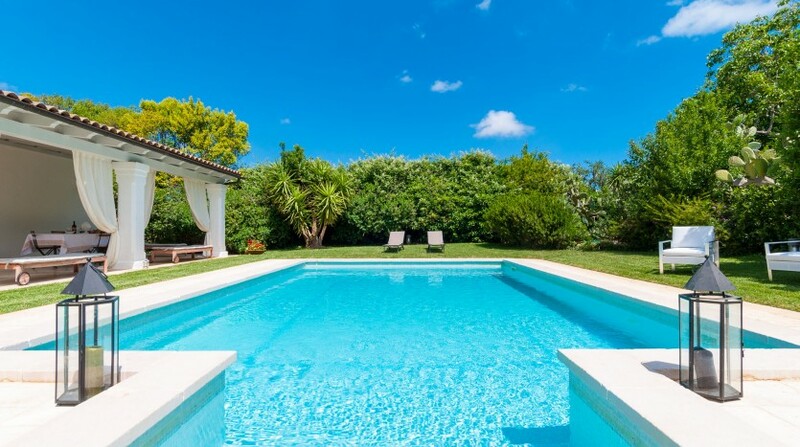 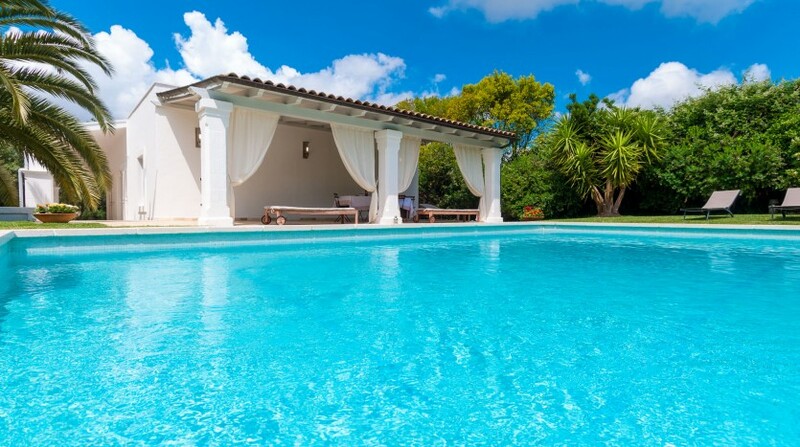 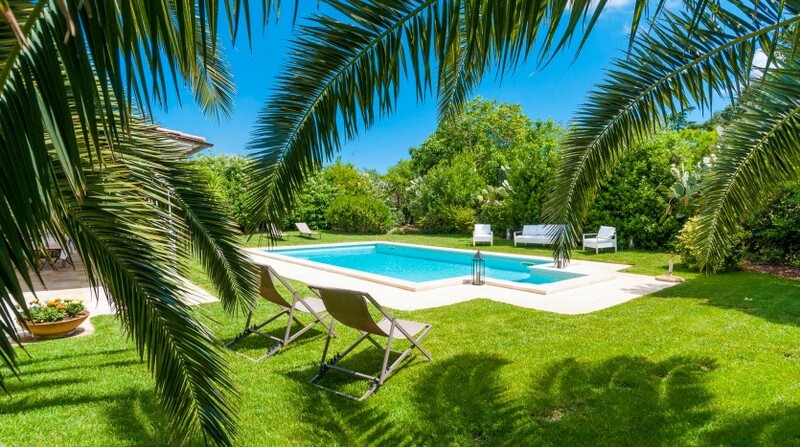 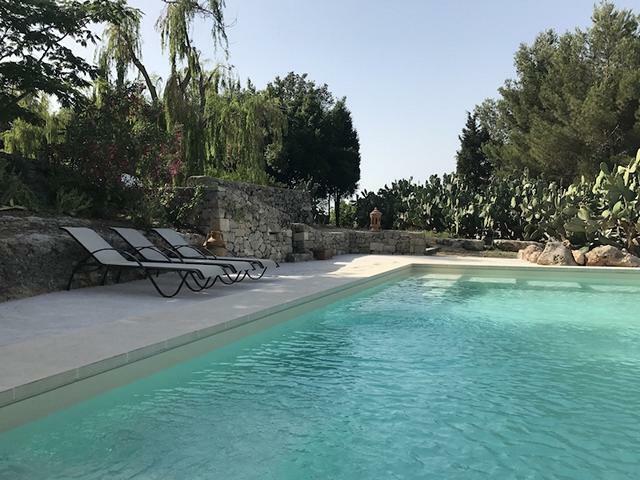 The Trulli complex, includes a gorgeous outdoor private pool, surrounded by vast greenery, such as the typical prickly pears, also referred to as “Fichi d’India” and majestic palm trees. 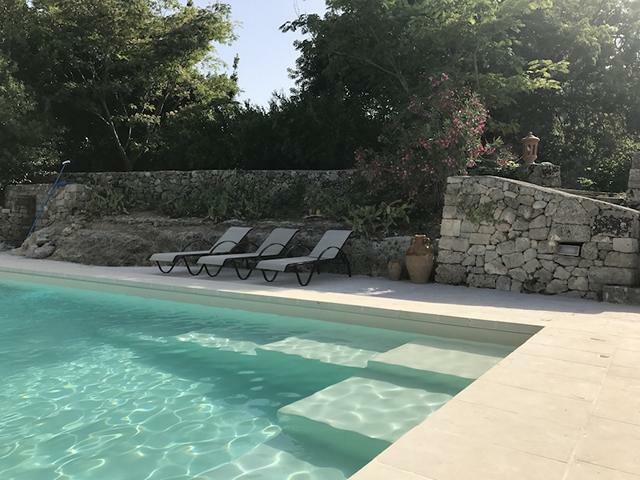 Facing the pool, an ample terrace, furnished with tables and sun beds, offering guests the perfect shade during the hottest hours and the lovely relaxing and peaceful moments throughout the day. 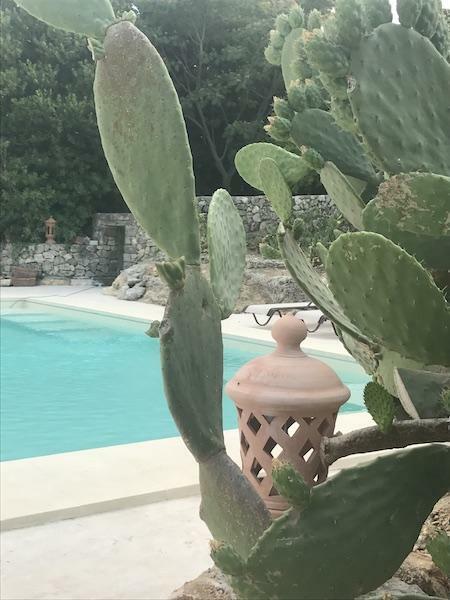 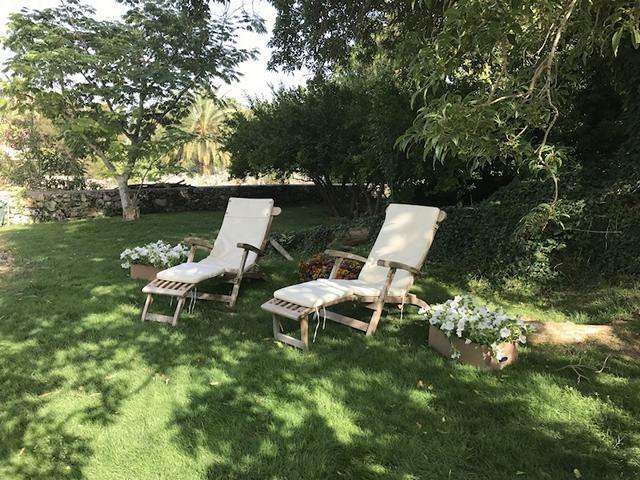 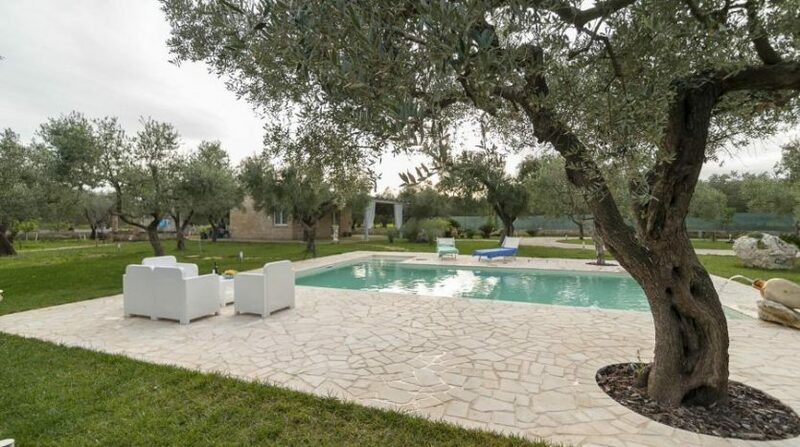 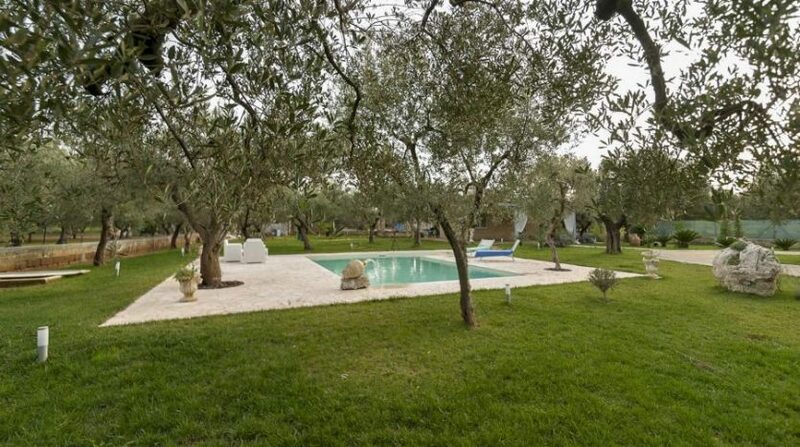 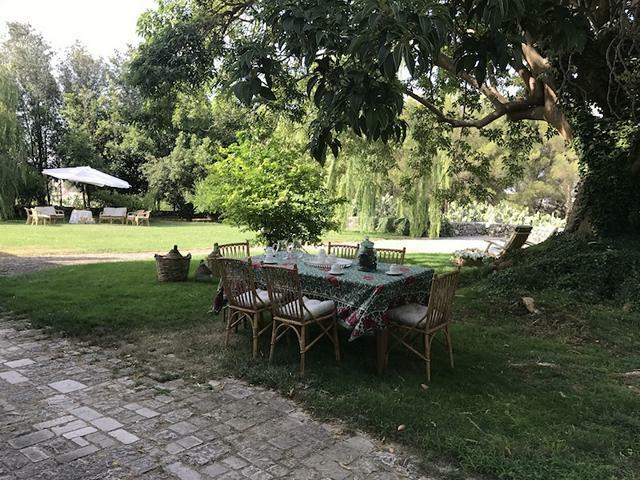 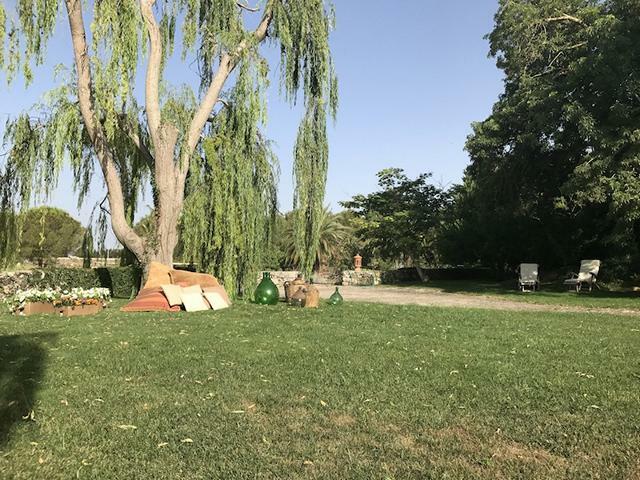 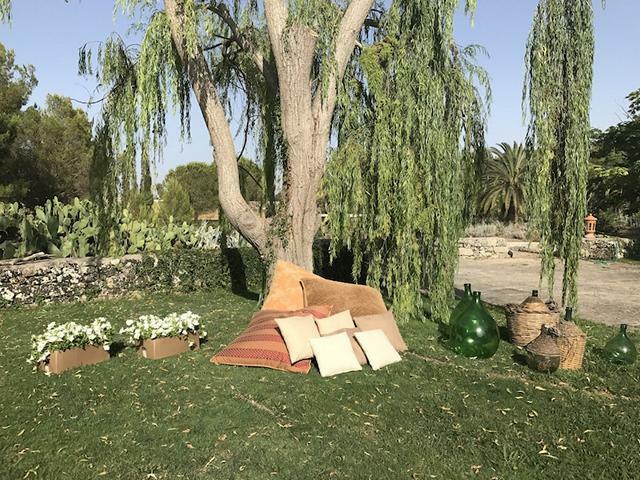 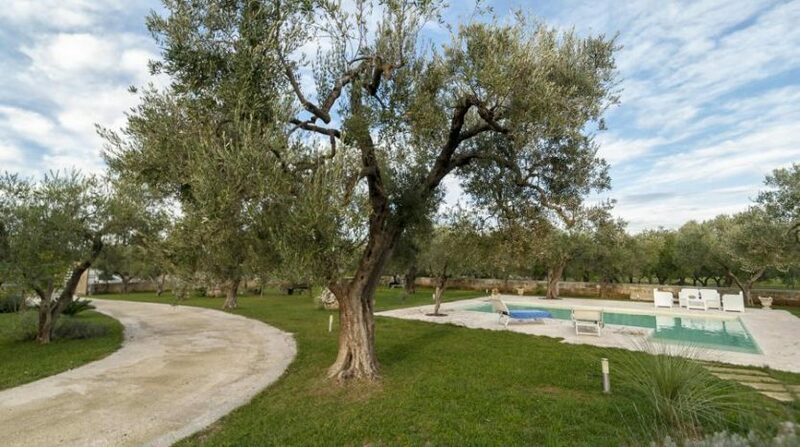 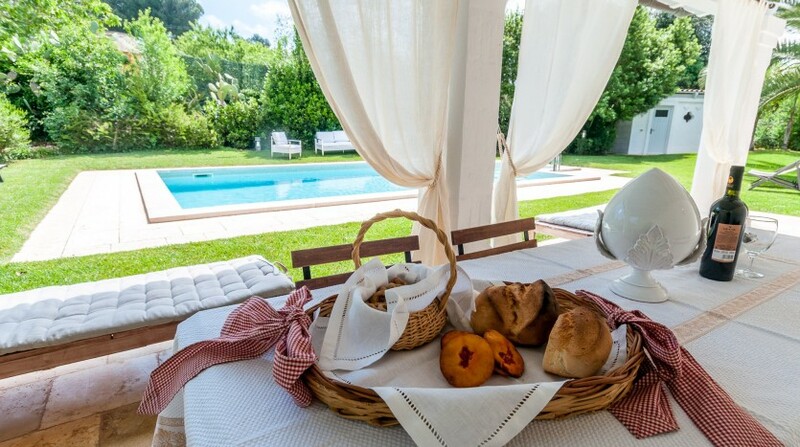 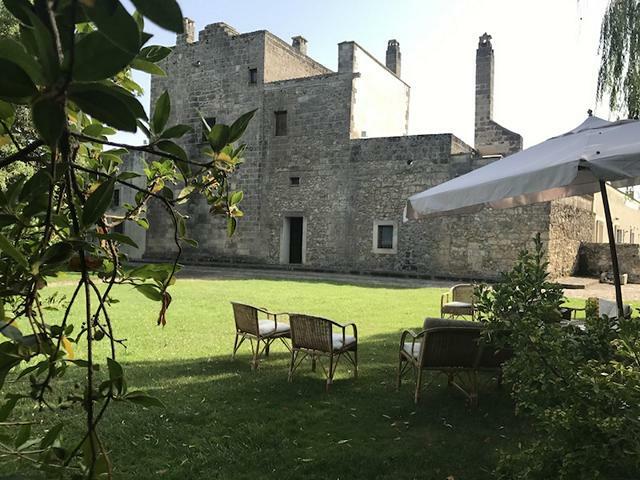 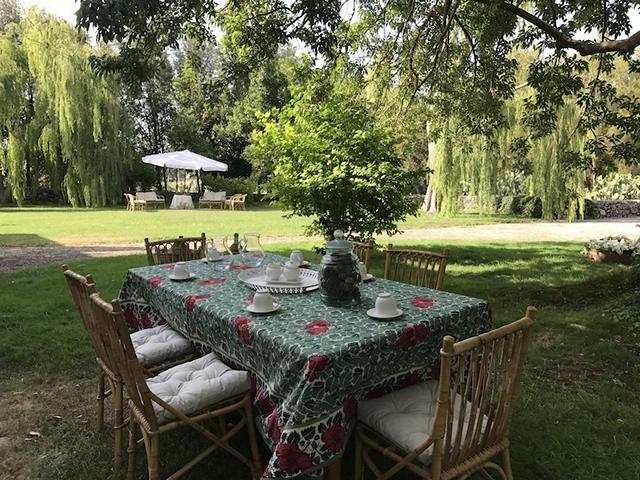 A refined garden with wide spaces of green grass, complete with hundred year old olive trees, beautiful plants, as well as local vegetation with native plants and fruit trees, whose fruits guests may sample to savour the freshness and the genuine taste of seasonal Apulian fruits. 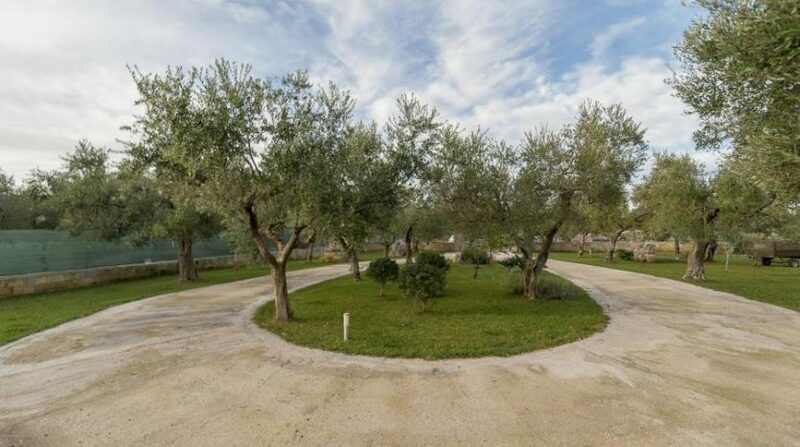 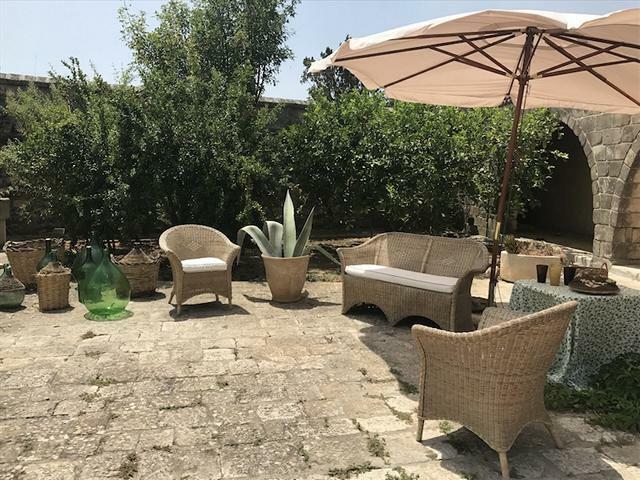 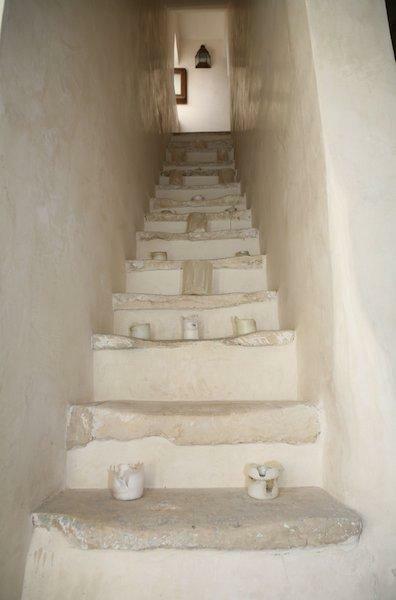 This charming Trulli complex in Puglia is recommended for families, including those with children, thanks to the perimeter fencing, making it completely safe from any potential danger for the little ones. 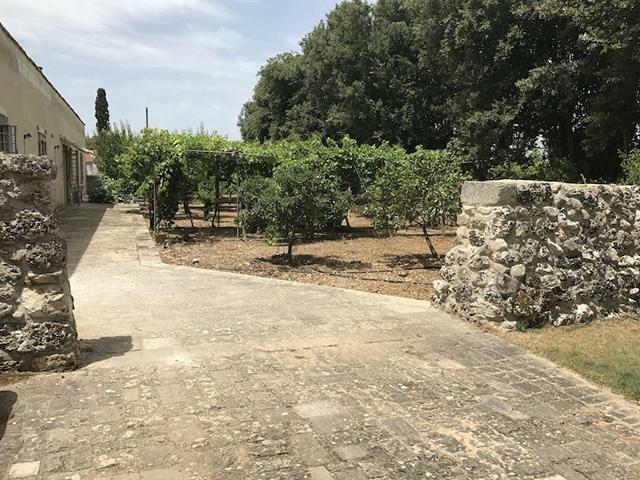 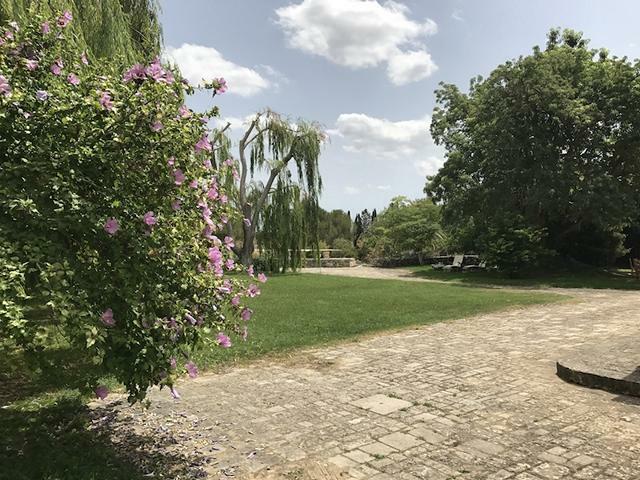 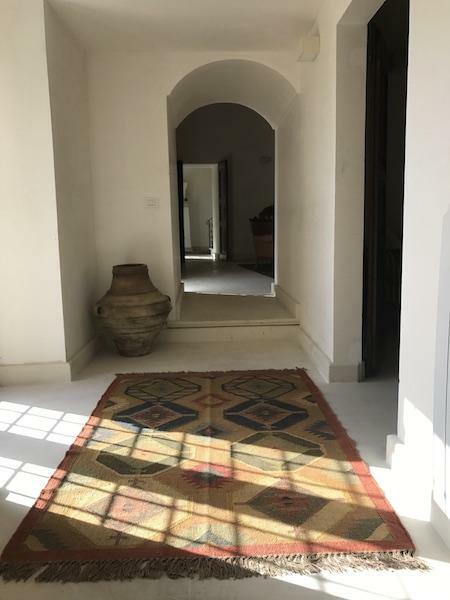 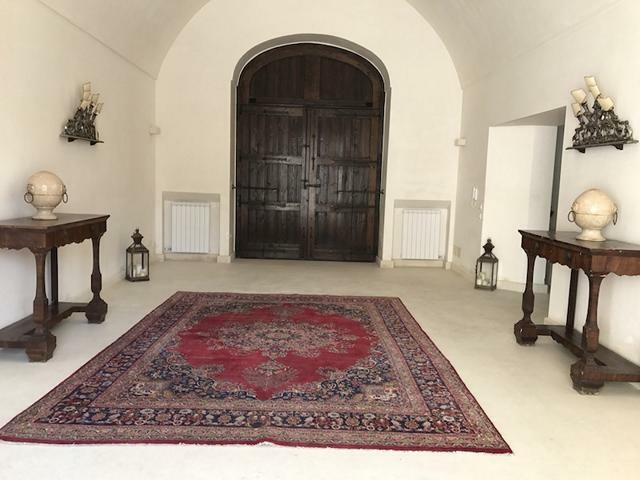 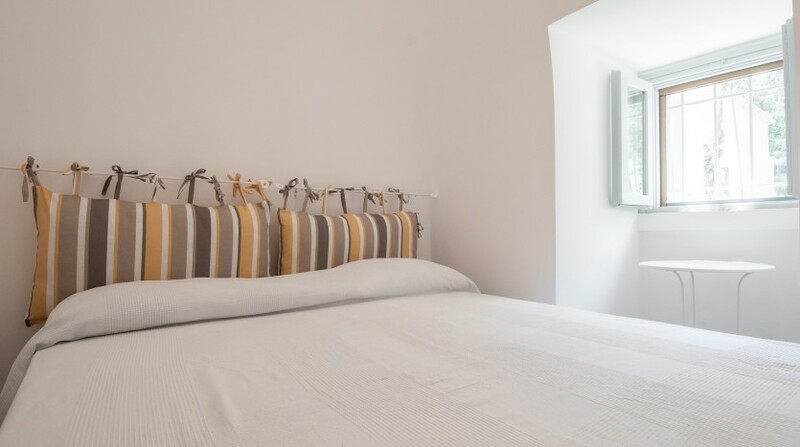 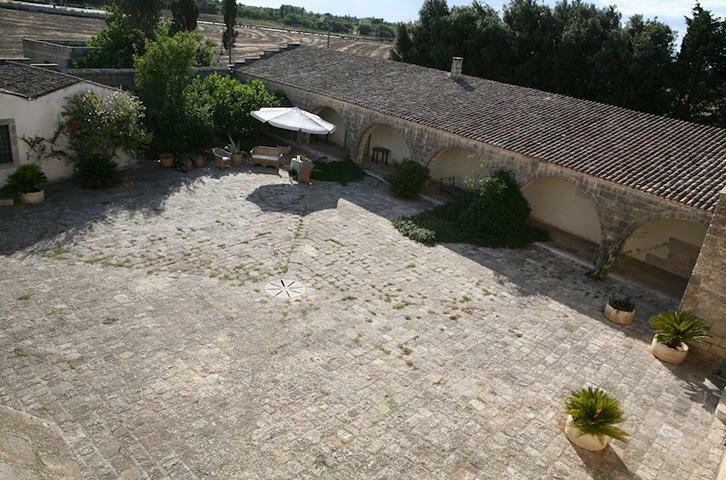 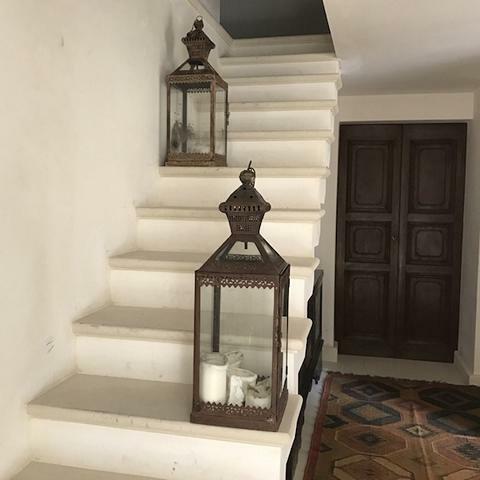 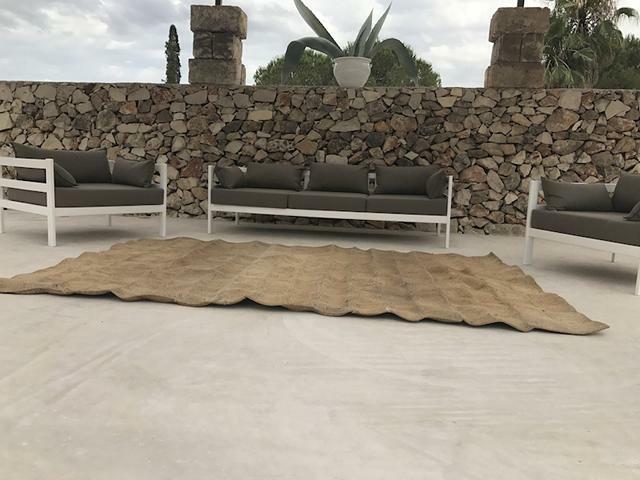 Trullo Bianco is the ideal home for guests that love the countryside and its tranquillity, but do not want to relinquish any form of comfort. 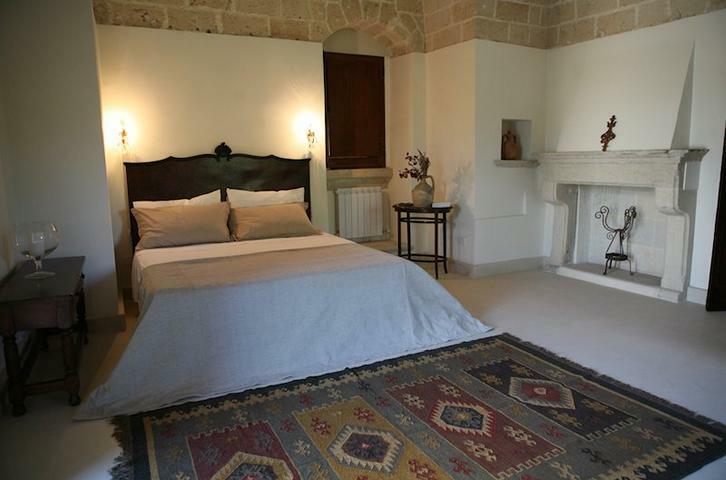 Monopoli is located in the province of Bari,with plenty of unspoilt coast, clear blue seas and the beautiful countryside given over to mainly olive production, orchards and almond trees, it is easy to understand why Italian tourists arrive in droves during the summer, festivals and holidays. 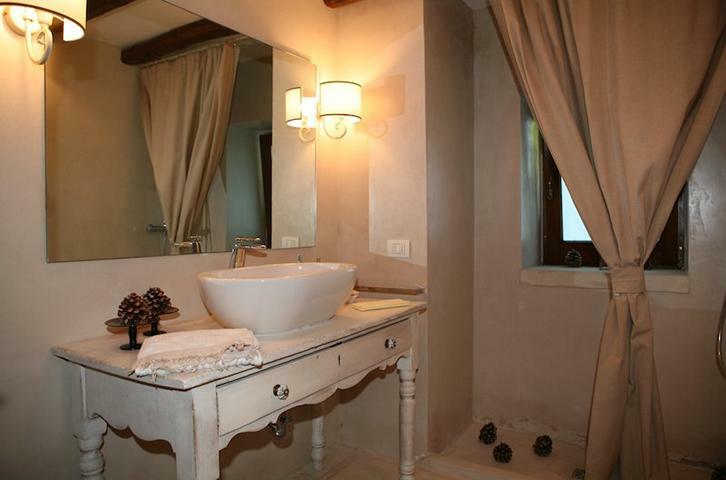 There are over 2 dozen sandy beaches dotted along the 8 miles of this part of the coast and many other bathing opportunities from the low lying rocks. 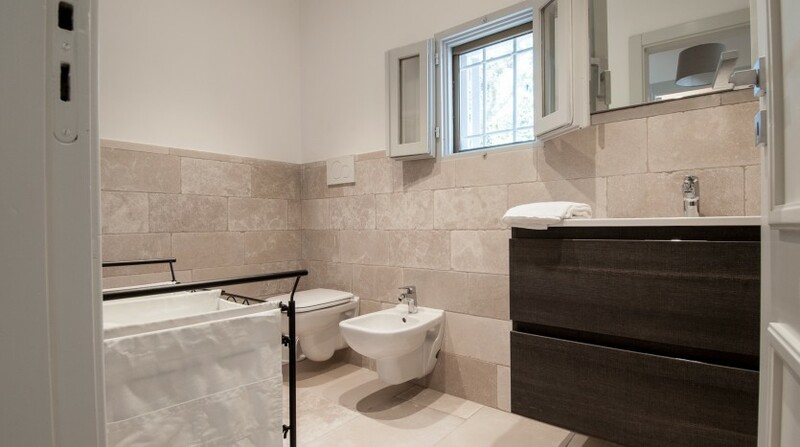 Bed linen, towels, electricity up to 300 kw, water, gas, baby bed, final cleaning. 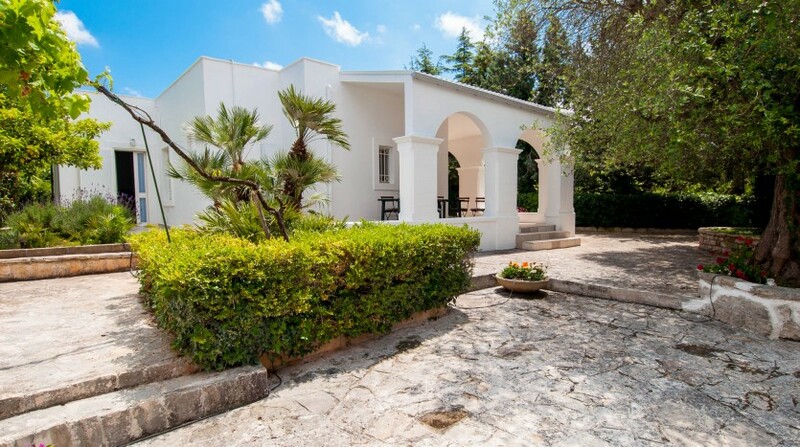 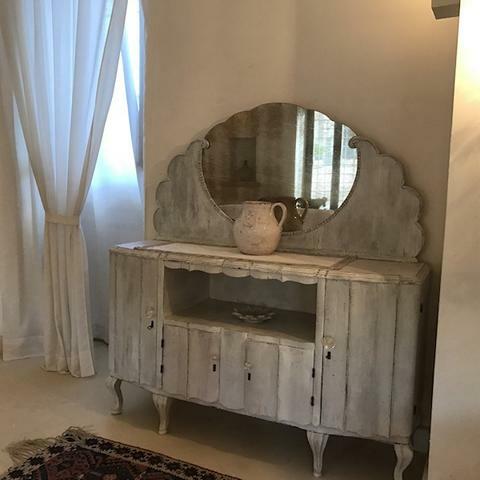 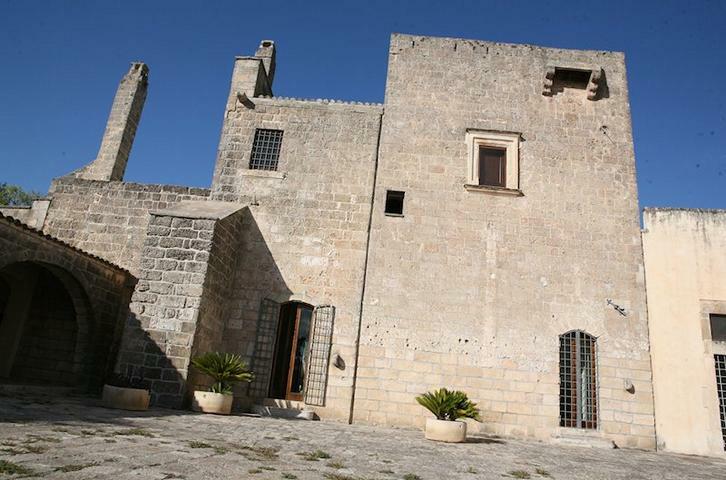 Address: Bari, Monopoli, Polignano a Mare, Caves of Castellana Grotte, Ostuni, Putignano Carnival, Trulli of Alberobello, Locorotondo, Apulian Salento, Ceglie Messapica.